Apple this morning released new firmware for the HomePod ahead of its December launch. The new firmware isn't available through the Developer portal, but it will be downloadable by testers who have a HomePod and it is listed on third-party iOS software sites, making it available for download by the public. 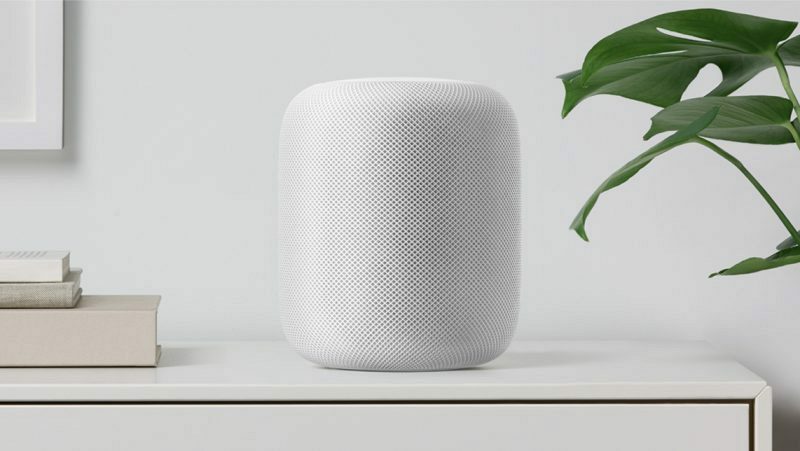 HomePod devices are currently in the hands of Apple employees who are testing the smart speaker to iron out bugs before it becomes available for purchase later this year. Apple previously released publicly available HomePod firmware in July, unwittingly leaking many secrets about the iPhone X. The HomePod firmware referenced the unreleased iPhone and confirmed its design and several features like Face ID facial recognition. The update also highlighted details about the HomePod like its startup process and internal features that include display resolution and RAM. This time around, there are no unreleased iOS devices coming in the immediate future so the new HomePod firmware is unlikely to be as exciting as the first, but it could potentially unveil new information about the HomePod itself as developers dig into the firmware code. HomePod is Apple's Siri-based smart speaker that focuses heavily on high-quality sound. It incorporates a 7 tweeter array, an Apple-designed 4-inch upward-facing woofer, and an A8 chip to power features like spatial awareness. When it launches this December, HomePod will be priced at $349. Oh! Maybe we’ll finally get confirmation of the iPhone XI+ this time around. Well let's see what this one reveals. Maybe the iPhone X Plus? Safari feels a lot snappier on my HomePod now. Good update! I’m sure this thing will sound good but what makes it a buy over two Sonos Ones. I’m an Apple fanboy all day but at 349 and only offering a weak AI in Siri bothers me. The Sonos One will offer Alexa, Google Assistant, and Siri via Apple devices. The sound of two Sonos ones is pretty darn good and add in the fact you can pair them with a playbar, and a sub overtime just makes them more attractive. However, if two homepods somehow turn how to sound better than two Sonos ones, the playbar/playbase, and the sub combined.......then maybe and only maybe is it a buy. Because at that point you’re getting better sound at a much cheaper price. Ability to AirPlay is the one thing I wish my Sonos was able to do. Supposedly there is an update on the horizon to add the functionality. Supposedly. Do we know yet if you can use it with just an iTunes library rather than apple music? Not Sure how this comment applies to the thread about the iPhone X video in relation to a HomePod update.